Pregnancy plays an important role in women’s lives. They feel very happy and energetic when they hear the news of a pregnancy. But the pregnancy is associated with many problems such as hair loss, constipation, and other hormonal fluctuations. These problems are common in ladies during pregnancy. In addition, constipation is explained as abdominal pain and infrequent bowel movements. This problem is basically associated with the discomfort of abdominal and hard stools. 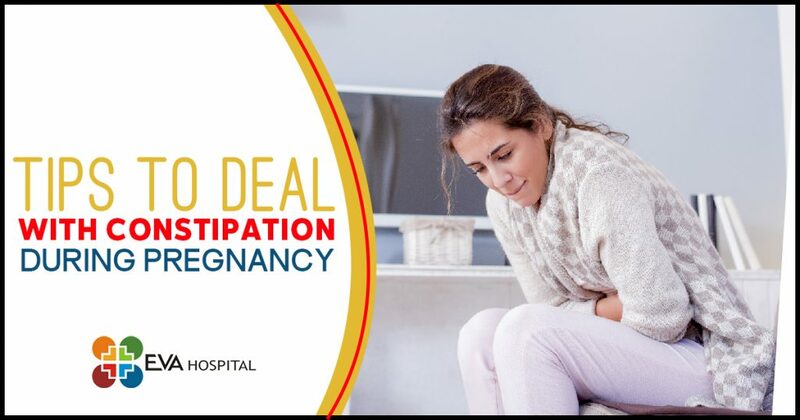 This condition is experienced by many ladies during pregnancy at the same time. You should converse with Gynaecologist in order to clear your doubts. There are several causes of constipation during pregnancy such as low fiber diet, stress, depression, minimal physical exercise. But many ladies experience this problem due to hormonal changes that are responsible to relax the intestinal muscles. Additionally, research demonstrates that relaxation of the intestinal muscle causes food and waste to travel or move slowly through your system. There are many types of supplements that can cause constipation such as iron supplements which you take during pregnancy. If you are taking iron supplements then you should drink plenty of water. You can also visit the best gynae with the goal to get knowledge about iron intake. Yoga is too effective and flexible therapy for stress-relief because it is so easy to practice at home. You should start with some basic yoga postures, but if you are unable to practice it without training then hire a personal yoga trainer. Or you can join some yoga classes because they will give you full instructions and guide you to practice these at home as well. Moreover, you can also do meditation for some time because gives you real comfort. You should eat a healthy and balanced diet rich in minerals, vitamins, and calcium. Because minerals and fibers are effective blood circulation in your body. Many people consume processed and oily foods in the period of pregnancy which can lead to birth defects and other health problems. Additionally, you must consume diets such as green leafy vegetables, lentils, and fresh fruits. Moreover, it is a good idea to eat foods that are rich in iron but avoid to intake excessive iron supplements. You must drink plenty of fluids or water because these are helpful to treat constipation during pregnancy. Many ladies face this problem due to dehydration or lack of fluids in your body. You must consume water and fresh fruit juices but without sugar.